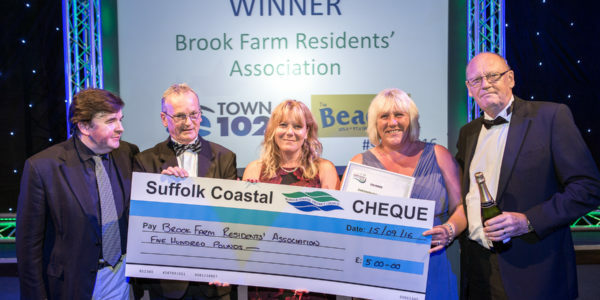 Over 250 people gathered to celebrate the 2018 Suffolk Coastal Business & Community Awards 2018 on Thursday 15th March at The Hangar, Kesgrave Hall. 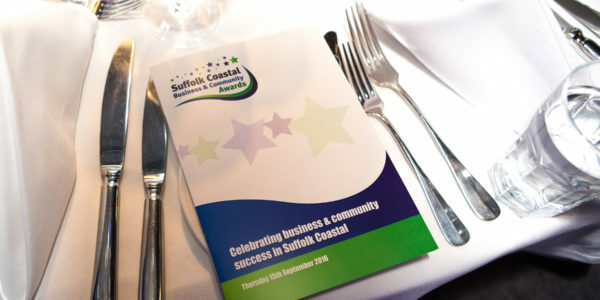 Organised by Suffolk Coastal District Council, the Awards celebrated the business and community initiatives and successes that have taken place in Suffolk Coastal over the last 18 months. The evening was hosted for a fourth time by Steve Allen a comedian, writer and presenter of BBC2’s The Mash Report. Guests were treated to a drinks reception sponsored by Gotelee Solicitors and Parker Communications provided a stunning set and flawless AV support throughout the evening. 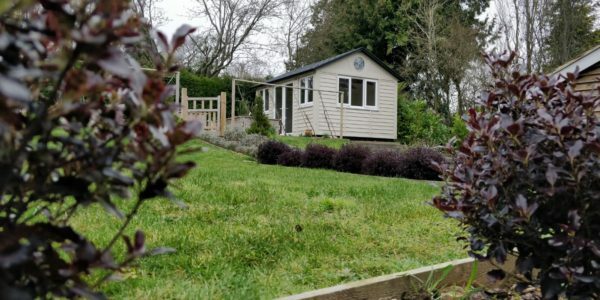 Archway Carpets, Framlingham Business Association, Poppy’s Pantry and Felixstowe & Walton Untied FC were among the winners. A total of thirteen awards were presented throughout the evening, covering categories including Customer Focus, Services to the Community, People Development, Encouraging Tourism and Business Growth. The winners received an engraved trophy and all the finalists were awarded a bottle of Adnams Prosecco with their certificates. The awards commenced once guests had enjoyed their meal and were followed by dancing to live music from J.S. & The Lockerbillies.